I posted some time back about the Occupy vermin who shacked up in a home in Seattle. They literally thought that this owner owed them the place to crash in. And destroy. And be forced to leave. This movement is not one of accepting lawful understanding of property, of lawful permission to protest or even lawful ability to disrupt traffic. Rather, this movement is taking pages straight out of the left’s playbook. Protest. Get arrested. Destroy property. Shout down. Silence opposing views. A pastor was left outraged after parts of a $12,500 bronze baptismal font went missing from his church sheltering Occupy Wall Street protesters. Rev. 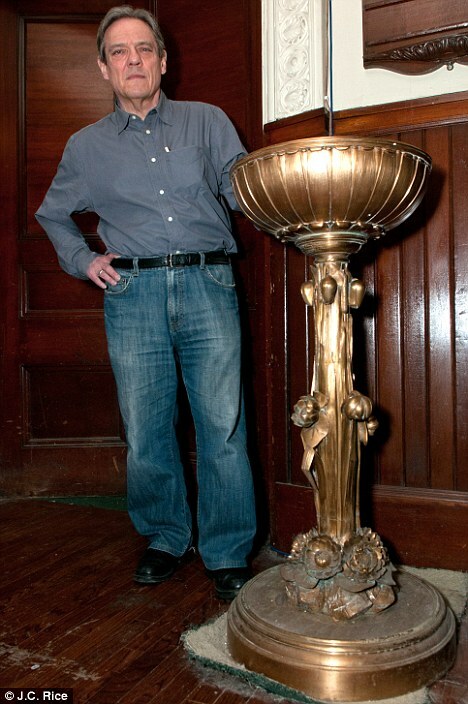 Bob Brashear noticed before Sunday services that parts of the font at West Park Presbyterian Church in Manhattan, New York, had vanished. ‘It was like p*****g on the 99 per cent,’ he angrily told the 60 protesters who sleep at the church every night, according to the New York Post. The holy water from the River Jordan seemed to have been poured into the base’s bowl from the missing attachment. Rabbi Chaim Gruber, who was formerly part of the movement, claimed last week that a protester urinated on a cross in a Brooklyn church. You won’t hear a word of this from the press. Not a peep. You won’t see massive segments on CNN like you did when a Christian church threatened to burn the Ko’ran. But piss on the Christian cross? Democratic liberal operatives? Any semblance of a rational and legitimate movement has long ago passed. The remnants of this group are nothing more than individuals of an ideology far and away from the mainstream of America. Acknowledge the damage and route around it. Last night I spent some time over at alan.com. Alan Colmes is a liberal commentator on Fox. He has his own radio show that I enjoy and his blog and chat room are both exceptional. In fact, it’s because of Alan that I started TarheelRed. Anyway, so, I was chattin’ up the locals and, as you would expect, found myself in the minority on many topics. We discussed taxes, education, labor, Presidential politics and even Iran. The banter was back and forth, very quick and not unpleasant. It’s hard and frustrating, to be sure, being the only Voice of Reason in a room full of Liberals, but hey, good times. Democrats and Republicans are very nearly the same. I think that all people, from the Left and the Right, want good things to happen to people. I think all people wanna help people when they need that help. I think all people feel that everyone should contribute to society. I think we’re all on agreement there. And it goes even further. Both Republicans and Democrats want to coerce man to cast aside their wicked ways. The vehicle for the Republicans is Religion. Via faith and God, the Right attempts to coerce people into doing good things. The vehicle for the Democrats is the State. Via laws and guns, the Left attempts to coerce people into doing good things. We were discussing education. I tried to make the case that given we ALL want a great educational system, up to and including college, we should work towards building a system that works. I was immediately accused of wanting to privatize education. When I admitted that would be preferable I also ceded the argument for the sake of discussion and said we could keep it public. Even in a public setting, we have room for reform. For example, disband the unions and allow administrations to hire and fire based on merit. Provide bonuses and pay increases based on performance. I hate teachers and don’t wanna educate the poor. Why don’t I want the whole country to be educated? It’s for my own good. Even evil capitalists want and need educated children and adults. People, left to their own devices, will not find it within themselves to provide an educational experience that satisfies the needs of the society. And so the Leftist enacts laws, the Conservative pulls on faith, all in an attempt to coerce people into doing what is deemed to be in their self interest. The folks felt that even college education ought to be free. I asked them if my neighbor to the west was unable to provide college tuition for his daughter, would I be within my rights to knock on the door of my neighbor to the east and demand money and time from him, by force of gun or sword, in order to provide tuition for my neighbor’s daughter. They laughed and considered me extreme. I then asked what real difference is there in THAT scenario and the one where a bunch of people vote to take my eastern neighbors money via the state. I mentioned that they had a confused sense of Liberty. Sadly, I had to acknowledge that neither the Democrat nor the Republican are interested in Liberty. Rather, only forcing their brand of charity through their approved vehicle of coercion. Homeless transplants from the city’s Skid Row have set up their tents within the larger tent city. No violence has been reported, but protest organizers are attempting to discourage people who are only at the encampment for the amenities. Now, to be very clear, I do NOT think the OWS crowd is obligated to serve food and provide shelter for people who are not members in their group. The people who are organizing any individual movement and group is working hard, I am sure. However, what they are protesting subjects them to a degree of tolerance that would not otherwise be applied to other organizations. See, the 99% feel that other people in the world should labor for their direct benefit. These people honestly feel that they deserve a “living wage”, free college and healthcare. Gone is the concept that any and all of these things require that an individual, somewhere-anywhere, labor for the benefit of the 99% and not themselves. This is, of course, crazy and no one really supports it. See, what’s happening is that protesters have organized into roles. One of those roles is to cook and prepare meals for the other protesters, in theory, so that they can focus on other tasks that are required. Perhaps this is park cleaning, garbage removal, sign making and library tending. This makes sense. Just like in life, specialization of tasks is more efficient and better serves the community. However, because of the nature of the camps, homeless and other non-protesters are coming for the meals. And the folks who are contributing are getting fed up; they are tired of supporting those who don’t contribute in other ways. Again, no one supports requiring people to labor for those who don’t contribute. And the proof that no one supports it is the fact that those protesting for just such that condition are opposed to that condition when they are the ones being asked to contribute money and labor. To show they mean business, the kitchen staff refused to serve any food for two hours yesterday in order to meet with organizers to air their grievances, sources said. The Assembly announced the three-day menu crackdown announced earlier in the day — insisting everybody would be fed something during that period. Some protesters threatened that the high-end meals could be cut off completely if the vagrants and criminals don’t disperse. Unhappiness with their unwelcome guests was apparent throughout the day. “We need to limit the amount of food we’re putting out” to curb the influx of derelicts, said Rafael Moreno, a kitchen volunteer. See, they understand. They GET it. And when faced with the prospect of laboring for those who don’t contribute in a meaningful way, they react by reducing the “welfare” they provide to “vagrants”. Further, these people understand the power of incentives. They know that if they put out more and more “stuff” they will get more and more “derelicts”. The reverse seems to be obvious. Reduce the quality of the “stuff” and the “derelicts” go away. I so do love the free market. Fox News is reporting that former ACORN organizers and staffers are working behind the scenes at the various protests throughout New York City. Further, these unscrupulous vermin are knocking on doors asking for money to support teachers and stuff all the while funneling that money to the movement. And Fox is reporting this front page. I hadn’t thought of it, but fi I’d been asked whether or not I thought ex-ACORN folks were working on the OWS protests, I would have guessed they were. The bigger news would have been if these people had gotten real jobs and become part of the 53%. THAT would have been news. Children! Children, gather ’round. I wanna tell you the story of the Leftist. When someone you disagree with enters into a war to overthrow a brutal dictator, you protest him, call him Hitler and burn him effigy. It is IMMORAL to use force against a foreign nation in an attempt to overthrow an evil brutal dictator. See, if one President goes to the United Nations and obtains resolution after resolution forcing the evil bad-guy dictator to allow this or allow that, and the evil bad-guy dictator doesn’t, AND the President gathers a coalition of foreign nations to assist in the overthrow of that evil bad-guy dictator AND that President goes to, you know, CONGRESS, AND….AND Congress authorizes force to remove evil bad-guy dictator AND that evil bad-guy dictator is captured AND that evil bad-guy dictator is imprisoned with human right’s representatives on guard AND that evil bad-guy dictator is given a trial and found guilty; well, THAT is immoral and the President is a douche. He is greedy and is Hitler. We came, we saw, he died. THAT is a foreign policy success, and the President is macho. The Left is without morals. They have none. Which is why they try to legislate morals to force ME to abide by ’em. They demand the rich donate to charity, but never do the same. They demand that the Right care for the poor, but never do the same. They scream that the Right engages in immoral wars, yet don’t care that they are the worst offenders. They legislate others to do what they themselves can’t or won’t. I’ve been listening to the Brad and Britt show for a whole bunch of years, Partly because they are local, partly because they are entertaining and partly because I need some Leftist influence. Just to keep me honest. And almost always, they deliver. I enjoy the show. I get that they are a profit center. They are hired to deliver ratings in a market so that they can sell advertising to an customers. I get it. And so I mostly let most of the stuff they say go in and then go out. They’re playing to an audience and are more circus performers than they are knowers of important things. But jeepers, sometimes they say things that are just not so right. So wrong in fact, that they are lying. And I call ’em out. And when I post I tweet. And they notice. Sunday night I pinged Brad and Britt. 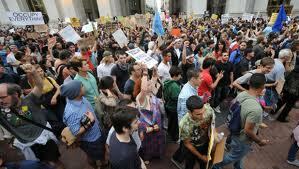 I posited that the Occupy Wall Street crowd is racist. I came to this conclusion in the same way the media decided that the Tea Party was racist. Some fun tweets occurred and we called it a night. The interview was offensive. And after I dropped my kids off at school, more of the same. A caller was interrupted by Britt parodying Rush and shouting him down. Funny stuff, I guess, if you’re on that side of the football field. The response of the tolerant Leftists? They “blocked” me on Twitter. Now, don’t get me wrong. I’m a Twitter rookie. I’ve had an account for years and only posted a little. That I get blocked or not blocked isn’t the point. The point is, that’s how the Left rolls. When faced with an unpleasant situation, there is a right way to handle it and then there is a wrong way. Bank of America announced late last month that it plans to start charging debit card users a monthly fee starting early next year. 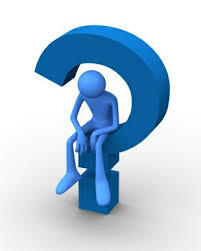 Due to the fee, Roger Goodwin is considering leaving Bank of America and getting an account with a local credit union. U.S. Rep. Brad Miller said the fees should be illegal, according to WMFY. Guess which way is going to produce the greatest change in the debit card market? Let’em strike. Let the Leftists be without theater. Maybe they’ll get back to work.